I just finished reading, "The Woman I Wanted to Be' and found it very frank and inspiring. I am also enjoying the "House of DVF" reality show. 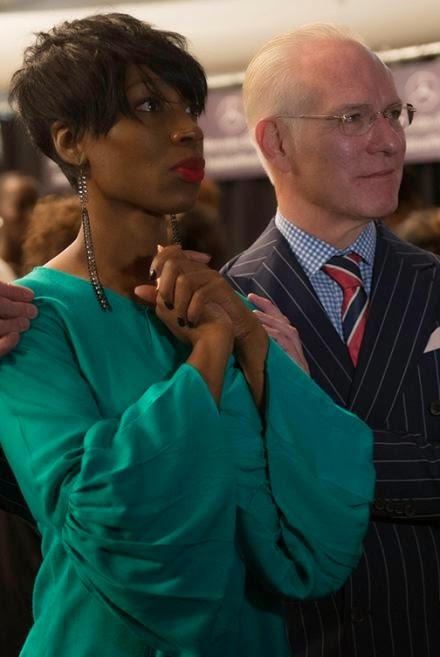 In this new interview with SouthFlorida.com, Diane states, Project Runway is the "best... because of Tim Gunn." And this is different from say, your work on "Project Runway" and "Project Runway All Stars." 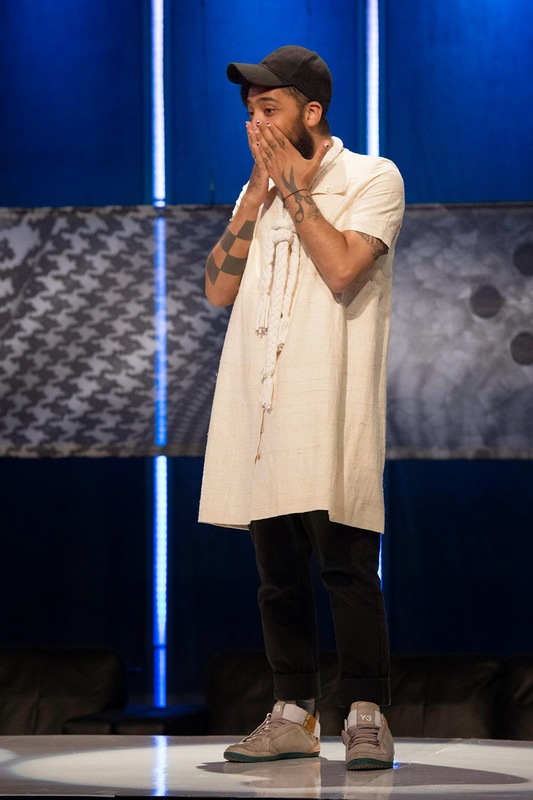 Of all the shows, "Project Runway" was the best one, because it really was informative. Because of Tim Gunn. Tim Gunn is a real teacher. It wasn't exploitative. Click here for the full interview and details about her book signing. 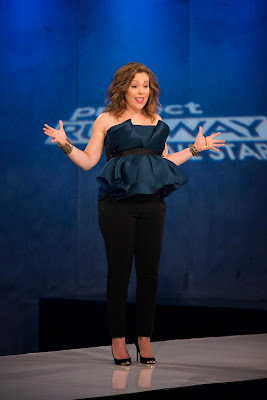 Project Runway Season 4 All-Star designer, Kate Pankoke, talks about her experience on the show. BPR: Which was your favorite challenge? KP: Definitely the Wicked challenge. I had never seen Wicked and Helen and I were like holding hands and crying the whole time. 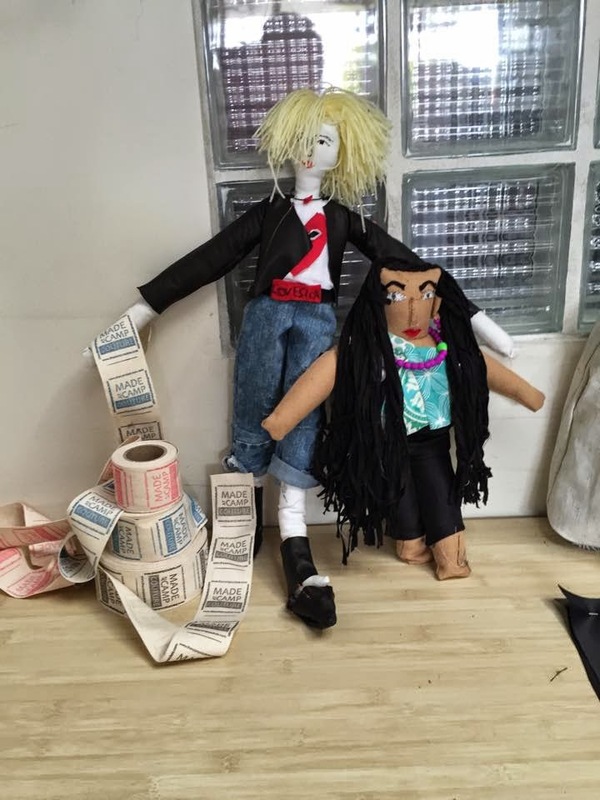 BPR: You got to see the show? I don't think we knew that. KP: Yes, we all went to see the show. We worked all day and then we went to the show that night. Afterward, we went backstage and we were able to see the costumes close up. I even got to touch the tiara. I was dying. Click here to visit Elaya Vaughn. 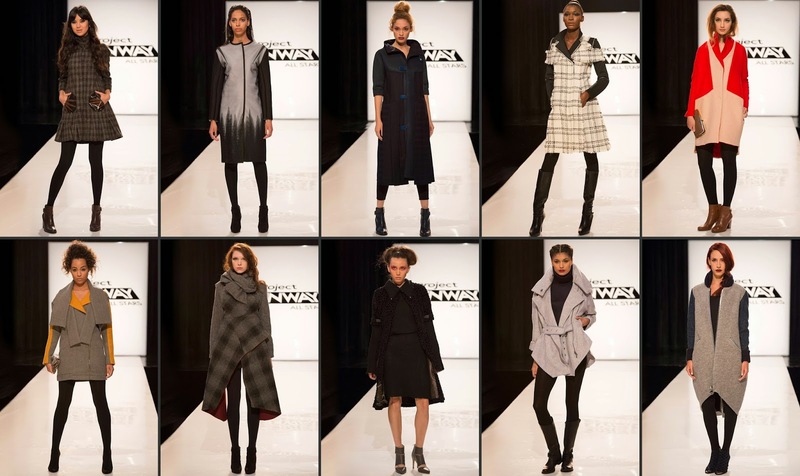 Episode Synopsis: The designers meet British royalty in London as inspiration to create winter fashions. Guest judge: Debra Messing. There is no new episode this week, but we are looking forward to "Designing for the Duchess" on December 4! And Toyouke brings it home. Thank you recappers, you may now have a week off. Happy Thanskgiving! 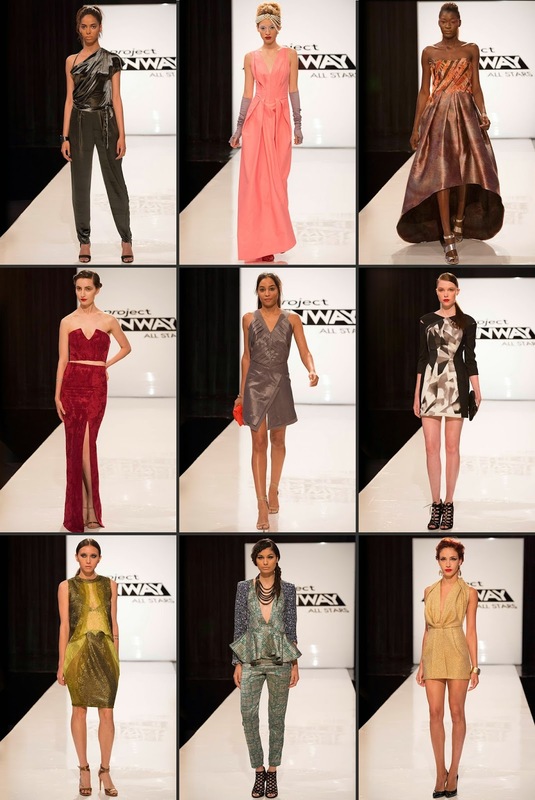 You've seen the designs on the runway and now it's your turn to be the judges. This week you are Alyssa Milano, Isaac Mizrahi, Nina Garcia Danielle Bernstein, and Seth Aaron Henderson. 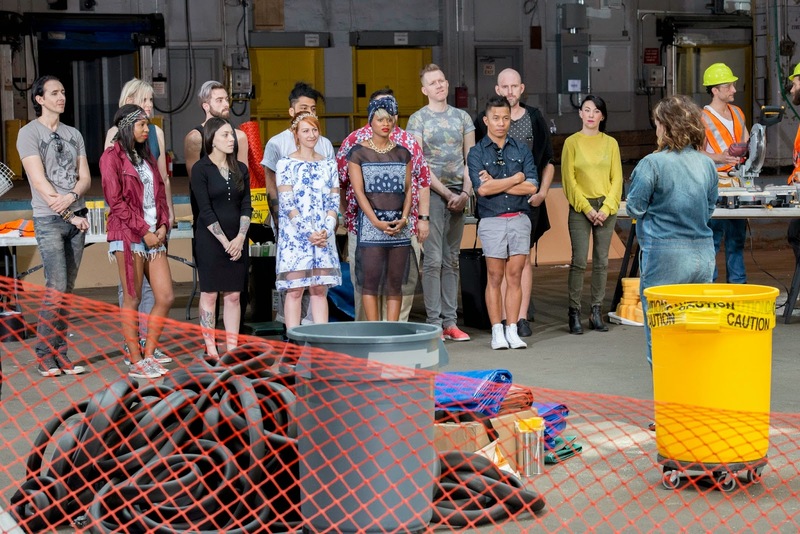 Lots of water under the bridge came out tonight on Project Runway All Stars. What did you think of the challenge and the results? Post your reactions to Episode 4 here. 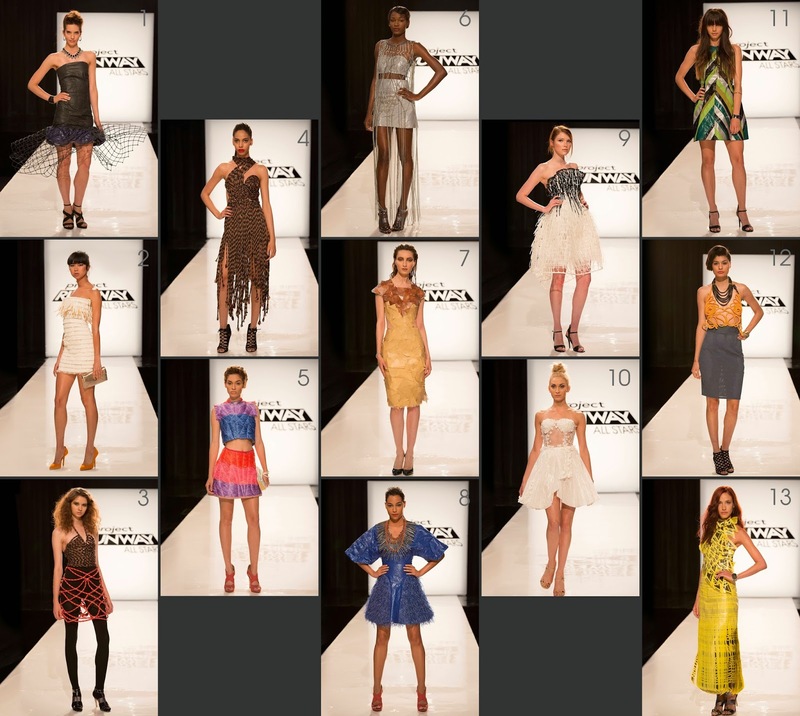 Look at all of our All Star designers lined up like good soldiers preparing for a fashion battle. So much is said by their personal style. 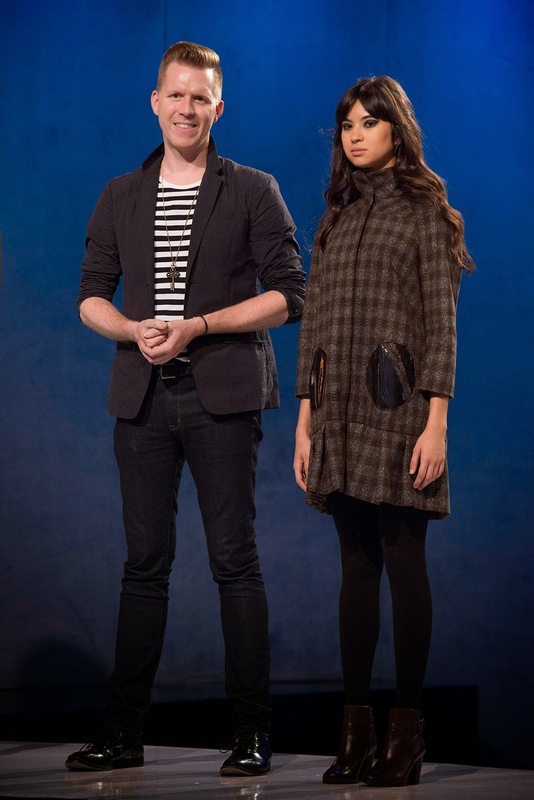 This week we get a little Nina Garcia and another confusing challenge as the designers are supposed to make a party dress based on a personal journey of love. Giga-wha!? Anyways, the BPR party crew is here to have fun regardless. Click the comment tab and join the fun. 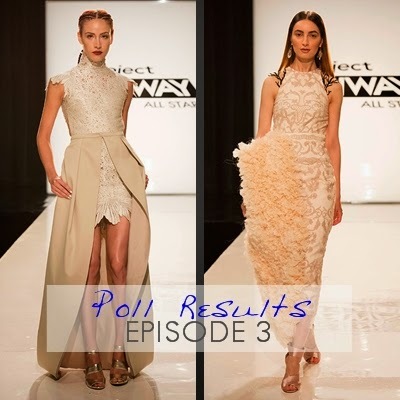 Our polls for Episode 3 are closed. You agreed with the judges and felt that Sonjia Williams deserved the win. Click here to see the results. You disagreed with judges and thought that Helen should have been out. Click here to see the results. 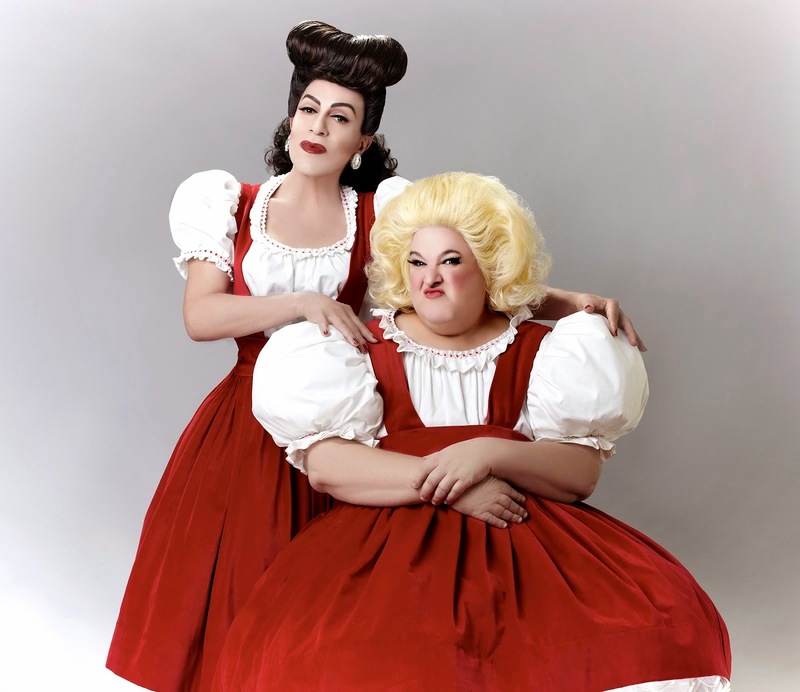 Joey Arias as Joan Crawford and Chris March as Christina Crawford in "Christmas with the Crawfords." Project Runway All-Star designer and BPR fan favorite, Chris March, talks about his experience on the show and about "Christmas with the Crawfords." BPR: Is there anything that happened in the challenge that you wish we could have seen? CM: Well, yes definitely. One of the things that they cut out of the episode was that part of the challenge was that whichever word you had, "good" or "wicked," you had to incorporate 20% of the other side into their design. So, my "Wicked" design had to have 20% "Good." CM: Yes, if you look at each of the looks, you will see a little something opposite. I did not choose to use the pink tulle because I thought it would reinforce the "Wicked-ness" of my design. I was just trying to follow the constraints of the challenge. It was evident that after the decisions were made about the winning and losing designs, the editing completely removed this requirement. At least I feel good that Betsey Johnson really defended my look on the runway. BPR: Actually that makes total sense - I was wondering why Helen put those branches on the shoulders and why so many of the "Good" designs were styled as if they were "Evil." I wish the viewers could have known this! Click here for more information about Christmas with the Crawfords. Click here to shop Chris March's Big Fun at Target - Holiday Collection! Click here to visit Chris's website. Episode Synopsis: The all-star designers spin out flashy party dresses inspired by their personal relationships. Guest Judge: Nina Garcia. And Toyouke calls it as she sees it. Thank you All Star recappers! You've seen the designs on the runway and now it's your turn to be the judges. This week you are Alyssa Milano, Isaac Mizrahi, Betsey Johnson, and Ariel Winter. Say it ain't so! One of the big fan favorites went down tonight on All Stars. Post your reactions to Episode 4 here. Hey there All Stars! It's time for another viewing party here on BPR as Alyssa rules over her kingdom in Episode 3. All are welcome to snark away at this thing. Click the comment tab to join the fun! 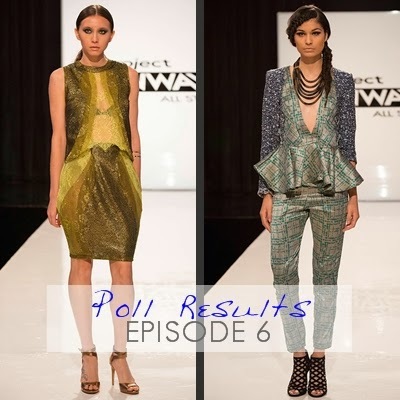 Our polls for Episode 2 are closed. You agreed with the judges and felt that Justin LeBlanc deserved the win. Click here to see the results. You also concurred with the judges and thought that Alexandria should have been out. Click here to see the results. Project Runway Season 13 finalist, Charketa Glover, talks to Detroit's MetroTimes about her experience on the show. She is also preparing for "The Walk" fashion show at The Garden Theater on November 22nd. 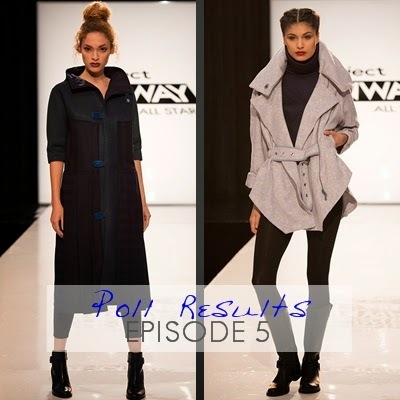 What a treat for Project Runway fans! Michael Costello, Justin LeBlanc and Mondo Guerra will present their latest collections on Friday, November 14. Of course, we would love a field report! ArtDenver, an all-new indoor fine arts experience featuring national fine artists, Colorado makers, art installations, interior design and fashion, has an impressive line up of Project Runway designers presenting their designs at the Opening Night Party & Fashion Show on Friday, November 14 from 6 p.m. to 10 p.m. Designers include Michael Costello, headlining designer; Mondo Guerra, featured designer and creative consultant; and Justin LeBlanc and Geoffrey Mac as featured designers. 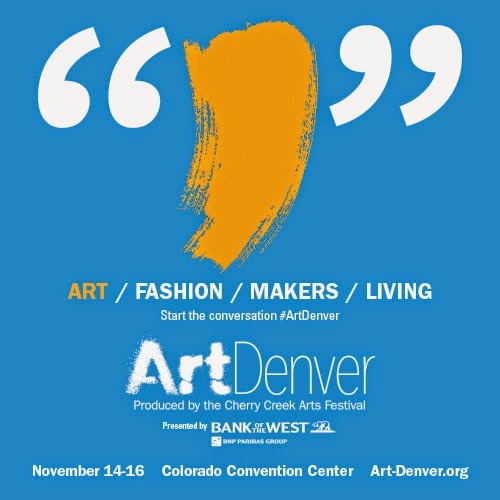 Produced by the Cherry Creek Arts Festival, ArtDenver includes a juried art show with 135 exhibiting visual artists from all over the country, in 13 media categories, including ceramics, mixed media, digital art, photography, metal works and drawing. For a complete list of artists, visit https://www.cherryarts.org/art-denver/visual-artists. For ticketing information and to purchase tickets to the Opening Night Fashion Show Party, please visit https://www.cherryarts.org/art-denver/TICKETS. Consider joining Facebook, Twitter(@cherryarts) and Instagram (@cherryarts) to engage with ArtDenver and receive up-to-date information. 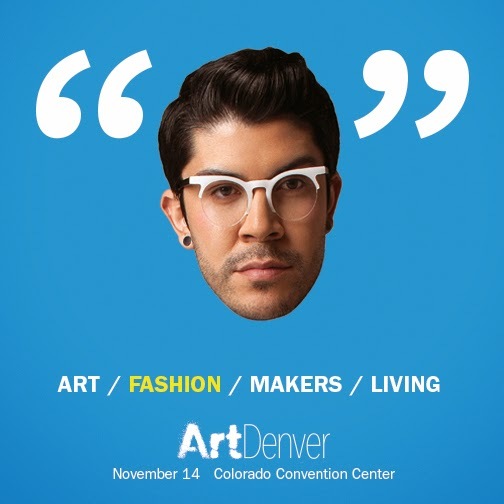 Start the conversation using the hashtag #ArtDenver. Camp Couture dolls representing Alexandria and Patricia. Project Runway Season 4 All-Star, Alexandria von Bromssen, talks about her experience on the show. BPR: If you could go back, would you do anything differently? AB: Yes, I would have agreed to do the show a little sooner. The producers called many times to ask me to do the show. Even when I was in Paris, they called me every day. I was visiting one of my students in Paris - she is on a three-year scholarship studying fashion in Paris. She asked me if I would wear her scarf on the show and honestly that was the tipping point. I finally agreed to do the show, and you can see her scarf in the opening montage. I wanted to design with fabrics, not with plastic and metal and these unconventional materials. This just wasn't for me. AB: I tried to befriend everyone, but definitely Gunnar is the one I loved the most from the cast. BPR: After your elimination, as you waited out the remainder of the filming, how did you spend your time? AB: I sewed. I walked home after my elimination and immediately began work on my collection. I set up a full studio in my apartment. I created a men's collection, a women's collection and an accessory collection. I made handbags, I made it all. Click here to visit Alexandria's website. You've seen the designs on the runway and now it's your turn to be the judges. This week you are Alyssa Milano, Georgina Chapman, Isaac Mizrahi, Nichole "Snooki" Polizzi, Jenni "JWOWW" Farley, and Elie Tahari. The All Star designers were asked to go unconventional for tonight's challenge as a favorite gets eliminated. What did you think of the challenge and results? Post your reactions to Episode 2 here. Howdy PRAS fans! It's off to the construction site for an unconventional challenge with the Season 4 designers, Snooki and JWoww. Grab your wheelbarrow and load up your your best snark as we watch along together. Click the comment tab to join the party! Our polls for Episode 1 are closed. You agreed with the judges and felt that Fabio Costa deserved the win. Click here to see the results. You disagreed with judges' choice and felt that Kate should have been out. Click here to see the results. Project Runway Season 13 finalist Amanda Valentine and Mclaine Richardson of Margaret Ellis Jewelry announce the exclusive launch of their collaborative capsule jewelry collection – Amanda Valentine by Margaret Ellis Jewelry. The Nashville-based designers collaborated to design pieces for Valentineʼs Spring 2015 collection. The “Roman Holiday” collection debuted last month at Lincoln Center in New York City during the invitation-only Project Runway finale runway show at Mercedes-Benz Fashion Week and aired on Lifetime Television Networkʼs popular reality show season finale on October 23. The limited edition collection is now available for purchase through both of the designerʼs websites and in the Margaret Ellis Studio at Cummins Station. The six-piece Roman Holiday collection consists of an ear cuff, a domed cuff, a collar in two widths, a hand chain with Amanda's signature eye and a large statement necklace; all handcrafted in bronze and sterling silver with several finish options. The full collection, priced from $95 to $1,150, is available to order on AmandaValentine.com and MargaretEllisJewelry.com. Each piece will be made-to-order in Margaret Ellis Jewelryʼs Nashville studio using traditional metalsmith techniques with a limited number available prior to the holidays. Guest judges are Nicole "Snooki" Polizzi and Jenni "JWoww" Farley. And Toyouke is a seasoned veteran. Thank you recappers! You make this show so much more fun. 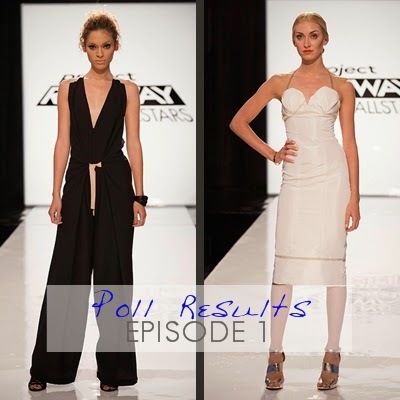 Project Runway All-Star designer, Patricia Michaels, talks about her experience on the show. BPR: After you were eliminated and you were sequestered, what were you able to do? Could you sew? Shop? Work on jewelry? PM: Absolutely! It was wonderful! It was a sabbatical from heaven! I went shopping for fabrics, and thrift shopping, I went to museums. I went to the garment district to look at production facilities. I could sew and work on jewelry and even check my email. The Gotham West is lovely, there was a gym where we could work out. I read and I wrote - I am working on two novels. There was a very important email that came in from the Smithsonian! They were inviting me to receive an award. It is the 20th anniversary of their National Museum of the American Indian. They are presenting me with their Arts and Design Award at their 20th Anniversary Gala event. So at that moment, when I saw the email, I realized that this is my journey. I have to trust my gut and honor those feelings. There are better things for me ahead and this part of my journey is over. I am becoming a modern visionary for my culture, a representative of the traditional Native American artist. I could not have come this far if I did not trust my feelings. Click here to learn more about the Smithsonian National Museum of the American Indian and their 20th Anniversary Gala. Click here to learn more about the Connected Warrior program. Click here to visit Patricia's website. 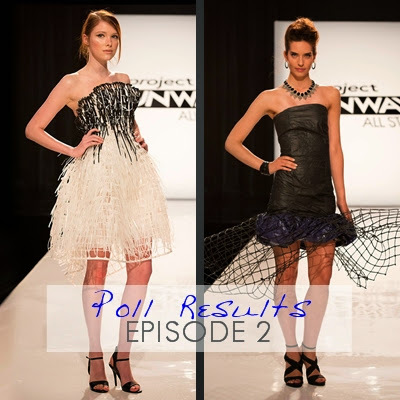 You've seen the designs on the runway and now it's your turn to be the judges. This week you are Alyssa Milano, Georgina Chapman, Isaac Mizrahi, and Ivanka Trump. We had a double dose of project Runway tonight as the Season 13 designers convened for some drama rehash and the 4th season of All Stars kicked off. What did you think of both shows? Post your reactions here. 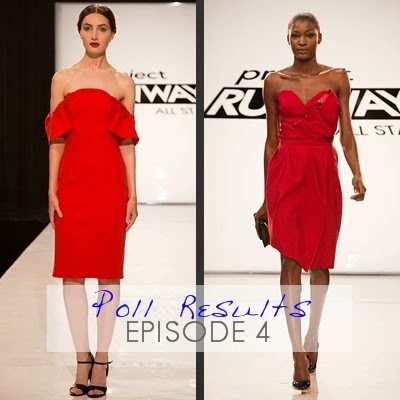 Hey everyone - we are going to run with a party thread for Season 4 of Project Runway All Stars for those who will be watching. Tonight we get the pre game bonus of the Season 13 reunion. It's a dramalicious appetizer for the main show. Pull up a chair and join us! Host Alyssa Milano shares details from the new season of All-Stars. Alyssa filmed all the way through 8.5 months into her pregnancy. There is no maternity challenge but guest judges Snooki and JWoww were also pregnant during their appearance. 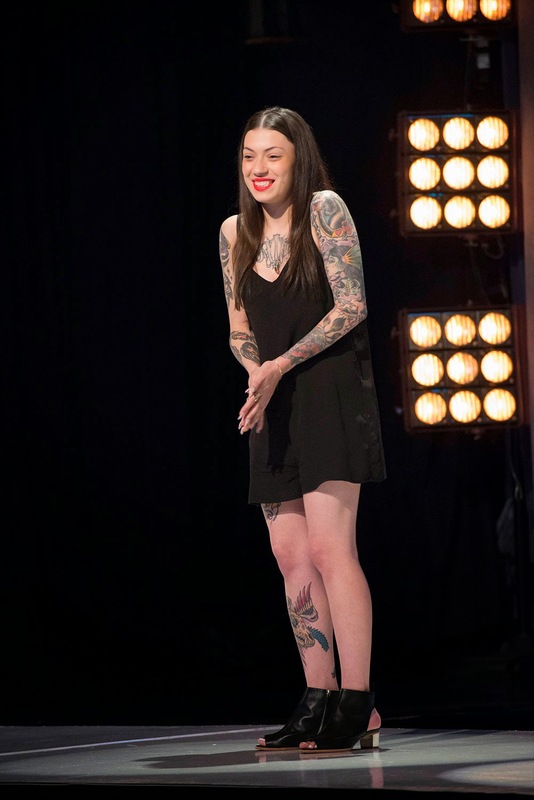 Her favorite judge was actress Laverne Cox, and she says that Betsey Johnson was the "most fun." There is a "Wicked" couture challenge, and Alyssa became ordained in order to perform an actual wedding for the "Marchesa bridesmaid challenge." Now that is dedication! Click here for the full interview from EW.com. 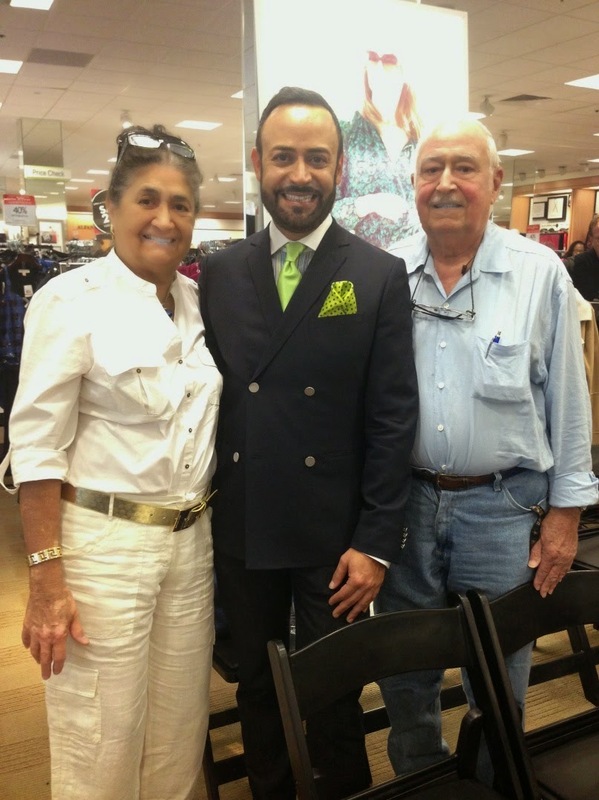 On Saturday, October 25, Project Runway Superstar, Nick Verreos, traveled to Houston to present Macy's "Fashion Rocks," to local fans. Fans are lined up to meet Nick! Nick appeared on the local morning news show before heading to the store. 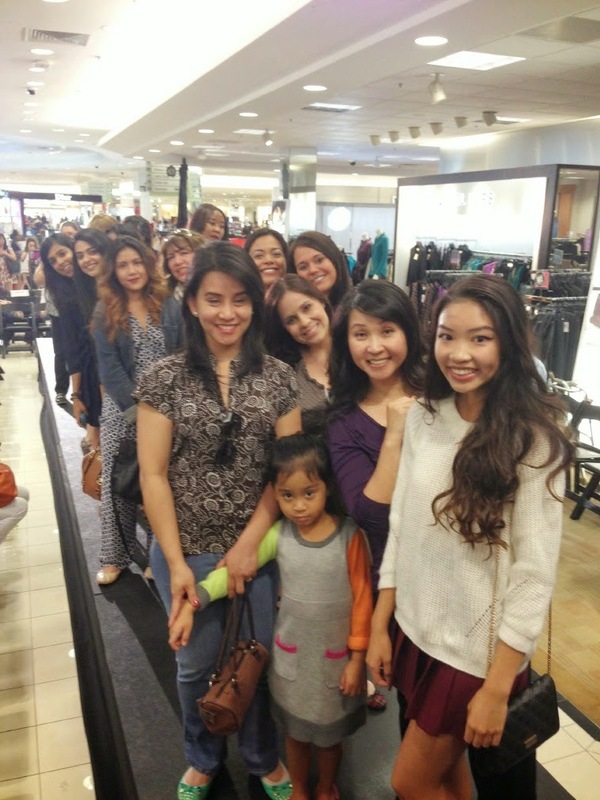 Fans were treated to a fashion show, and meet-and-greet with Nick. One lucky fan won a personal style consultation! Nick's parents, Raquel and Jim Verreos, also attended the event!